As a relative observer to this thread, the replies make interesting reading because there is an obvious inferred bias in peoples written replies that is somehow trying to legitimise poor nutritional choices - and shifting the emphasis to a calorie deficit (whereas the issue isn't just about weight loss, its about overall health and wellbeing). If you want to do any kind of activity that requires performance, there is plenty of evidence that consuming garbage is not going to get you there - no matter how much weight you apparently lose. I'd recommend the book: 'Racing Weight' by Matt Fitzgerald. Using a media friendly anecdote of a college professor eating twinkies for a month to prove a point is frankly ridiculous. Not only is it a sample of just one (making it virtually meaningless) but its worth bearing in mind the much older 'supersize me' McDonalds example -whereby the guy that lived on that garbage for a month created numerous health issues based on the actual quality of the food. I have seen some of that info about inefficiency of digestion before. I feel for the lab tech who had to test feces for passed calories. The one I read was about peanuts. Given an equal amount of all natural no additive smooth peanut butter, crunchy peanut butter and whole peanuts, there was a slight increase in the amount of undigested calories for each one. In one study, raw sweet potatoes had less calories ingested than meet, but cooked sweet potatoes had more than meat. I wish they had also done that test with fibrous fruits/veggies that are often eaten raw. But sugar is pretty much 100%. So is cooked ground beef. There are carbs as well as proteins that are prone to less efficient digestion and some that aren't. We all have our own anecdata. Mine indicates that I lost as much as expected with the CICO formula of 3500 calories per pound and by all measures (labs, physical endurance and strength) I am healthier than I have been in decades. I eat a relatively high amount of carbs, including sugar, and a lot of it is processed. I don't each much fat, though I have started trying to do that, reducing carbs to make space for it. Thanks for this, that's an interesting article. I am not advocating for poor nutritional choices but rather I am stating the often obscured fact that you won't lose weight if you are not at a calorie deficit. You will gain weight if you are at a calorie surplus. This is true regardless of your diet choices. There is no diet out there that avoids this truth. Supersize me was interesting because of how many people eat that way, but less relevant because the subject ate over 5000 calories a day. If he were Nutritional Label Man and had eaten 2000 calories (of that crap) he would have maintained. If he had eaten a bit less he would have lost weight (and still felt awful). These diets can be helpful because they (some) direct people toward eating foods that energize and make it difficult to exceed calorie budget (even if that is not the published focus). Yes an interesting article and agree it would have been very interesting if they had used vegetables too. I wish when they were talking about the the mice losing or gaining 1 or 2 grams of weight they would have relayed that in percentages. Or given the weights of the mice before and after for correlation. The mice lsoing or gaining that much could be as easy as us fluctuating a few pounds during any given day. And it also backs up the saying that not all calories are equal. And throws wrenches in the CICO argument, not contained to this forum. Makes counting calories a whole lot more difficult based on whether your food is cooked, picked, beaten, pounded, rolled.....and then you need a whole DNA test to figure out how much of it you are actually ingesting based on your genes. Gonna need an advanced calculus and statistics class just to figure out how many oreos I can have for desert. When you try to lose weight using CICO to adjust your normal preferences, you don't aim for just a few calories short of burn; if you have a lot to lose you start out aiming for around 500 low per day for a pound a week. The wrench thrown in there by the inaccuracies isn't that big. After a month or two, you make adjustments based on how the actual loss is lining up with what you hoped and make adjustments. Typically the number adjusted is daily burn. It might really be a combination of factors, but you can dial it in pretty close just using the one. Eating different foods than what my normal diet has been without weighing food when I can and logging it, it would be extremely difficult to consistently get about the right amount unless I ate the same things every day or followed a meal plan (where someone else has done the calorie counting for me). To get back on the subject of the thread, guess what food you are most likely to get the calories exactly right on? I’d be very careful about drawing conclusions from a study design like that: as is often said, correlation does not prove causation. There may be a whole range of lifestyle and environmental factors at work which they have not measured that might be affecting mortality, and the poor food choices are an indicator of those factors, which are the real risk. For instance, perhaps people who are more type A in personality are more willing to eat crappy convenience foods because they feel more time-pressured. Or people who live in areas with more pollution tend to eat more of these foodstuffs, or people who work nightshifts do (because they have fewer shopping opportunities). Or maybe eating crappy foods indicates a risk-taking personality, or loneliness or other mental health factors. All of these factors would be risk factors for earlier death. I have no idea if any of these things are true, and I have not read the full article. But I’m just pointing out that this kind of research design cannot prove that the poor food choices are the cause of the mortality; it can only show a statistical association. Having said that, I do not believe that all food is essentially good, and that foodstuffs only vary in how good they are for us. I believe that there are many foods that are actually actively bad for you, and that you would be much better off if you didn’t put it in your mouth at all, even if it meant eating nothing at all (for a while). We are probably eating quite a bit of stuff that in 100 years’ time will be considered toxic and people will be amazed at how their ancestors could possibly believe that something that didn’t even look like food could be mistaken for it. I'm a fan of issuing advice based on simple principles that can be practically adhered to. In this case, keep your foods, snacks and cooking methods as unprocessed and as straight as you can. Do that and you won't go far wrong. If you want a cake, eat one (it won't matter on your death bed) but don't make it a habit. Don't use exercise as a foil to poor diet. In the case of you Americans (we don't get it in the UK much) - avoid corn syrup at all costs. Yeah, and most US citizens don’t know that you have foods widely sold to you that are actually banned on health grounds in Europe (eg. chlorinated chicken). The French generally put a lot of time and effort into eating well, and their Nation’s diet is probably better than yours as a consequence, overall. And they are slimmer. So it may be that eating processed foods in France would make a bigger *relative* difference in risk rate to a French person (because the people around them follow good diet) than eating processed food would to a US citizen, where eating processed food is more common. In other words, the baseline rates may be different between the countries so you might not be able to extrapolate well from a French sample to a US one. 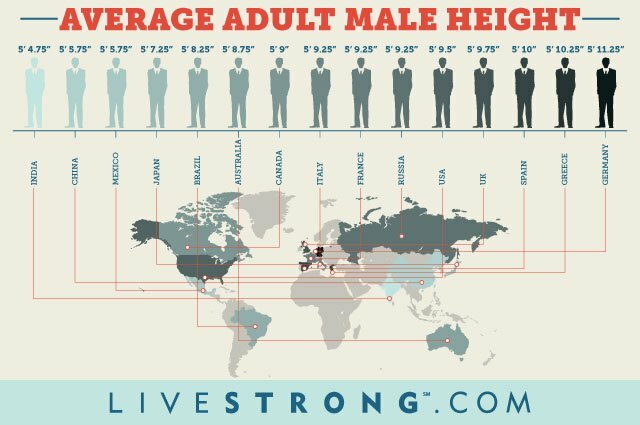 Not as starkly as that chart appears - some of the nations over on the left have shorter average heights which distorts things a little. This being said, the UK is getting increasingly worse (particularly in children) and I find visits to the USA frankly disturbing in just how out of control obesity has become. Any country that stocks 5XL trousers as a norm and considers that ok has a serious problem. 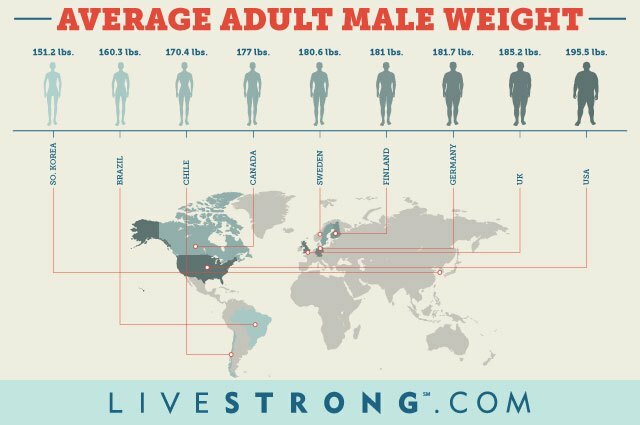 But I think it is generally accepted that amongst the richest countries, US people have the highest rates of obesity. On the upside though, if you like your sexual partners to be on the plump side, you are gonna have a ball in some of these US states. 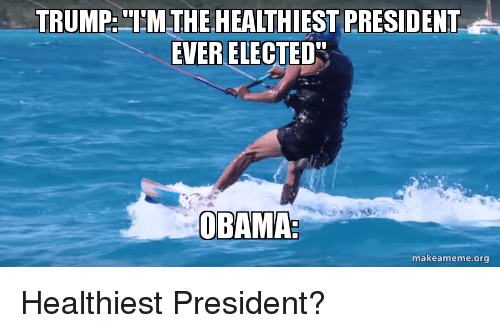 And the POTUS is doing what he can to set a good example to US citizens with his “astonishingly excellent” physical test results.